How can we live sustainably? Take steps with us on our journey to sustainability. Living in harmony with earth and one another is the aim of AWAKE Community. We're working each day to find better ways to garden, preserve nature, save resources, and reduce waste. From simple daily choices to innovative technologies, our journey to sustainability is creative and soulful. Follow along as we share what we learn with our neighborhood, schools and our community. Join us on a quest for more sustainable living! Brentwood Urban Farm in Los Angeles has 20 organic garden beds, 22 fruit trees, rain barrels, graywater systems, solar panels, and xeriscaping. Learn about our organization, our mission, the steps we take, and a long list of joyous benefits. 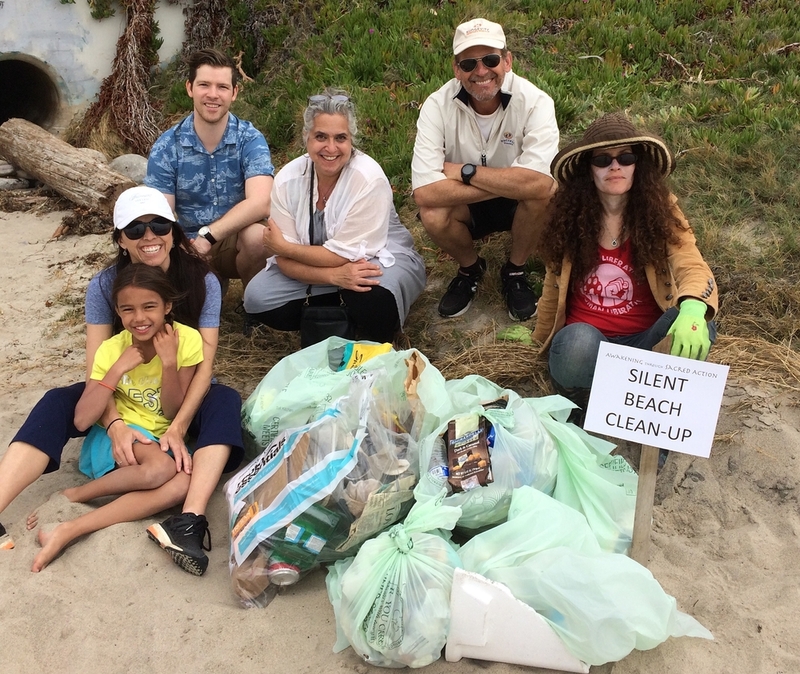 Volunteers after cleaning Will Rogers State Beach in Pacific Palisades. Are you ready to take a step? You can become a contributor to our cause, or participate yourself.